Price from 17.100 ISK PER PERSON. This 8 hour winter tour to one of the most interesting spots in North Iceland focuses on the most attractive features of the Lake Myvatn area and its surroundings. The first stop is at Godafoss waterfall, not only famous for its breathtaking beauty but also for its significant historic value related to the Christianisation of Iceland. From Godafoss the tour continues through the valley of Reykjadalur to Skutustadir in the Lake Myvatn district. Next stop is at Dimmuborgir, a lava labyrinth formed around 2300 years ago when a partly cooled lava lake drained out and left magnificent basaltic pillars and sculptures. After a short walk in Dimmuborgir the tour continues through the lava field to Grjotagja, a popular underground bathing cave among the locals before the Krafla Fires (1975-1984) when the water became too hot to bathe in. Next we explore the fumarole fields of Hverarond (Namaskard) where ground water is heated by an underground magma intrusion. Sulphur deposits are brought to the surface and the area is characterized by a strong smell of sulphur. After a short walk around the fumaroles we head for the final destination of the tour, the Myvatn Nature Baths, where visitors get the chance to bathe in the silky smooth geothermal water. After the stop in the nature baths we drive back to Akureyri where estimated arrival time is between 16:00-17:00. 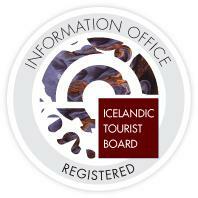 Monday – Wednesday – Friday at 08:05 or upon arrival of flight NY112 from Reykjavik. Drop offs: Akureyri Airport, your hotel or guest house in Akureyri. When booking please select one of three pick up locations: Akureyri Airport, Hotel KEA, Icelandair Hotel and choose the appropriate pick up date and time. Please note that the departure from Akureyri Airport can be delayed by a few minutes depending on the arrival of flight NY-112 from Reykjavik. Pick ups at Hotel KEA and Icelandair Hotel will subsequently also be delayed. You can ask the hotel reception to call us (tel: 5 500 700) for information about the pick up if it has been delayed by more than 10 minutes. Included: Transportation and experienced local tour guide. Not included: Refreshments and entrance to the Myvatn Nature Baths. You are not allowed to consume your own pre packed refreshments in restaurants. Note: The itinerary may be altered due to weather/road conditions. This may result in cancellation of the tour or delayed schedule.